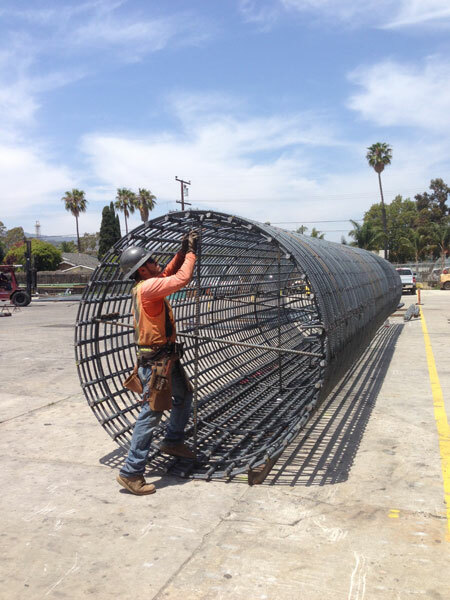 Interstate Rebar, Inc. is a reinforcing steel (rebar) fabricator and installer serving Central and Southern California. Interstate Rebar is located at 1387 North Ventura Avenue, in Ventura, California. Although we specialize in concrete tilt up buildings, some of our other projects have included low, mid, and high-rise buildings - schools, churches, custom homes and hospitals; retaining wall and structural decks; CMU buildings; and public works projects such as caissons, waste-water treatment plants, and other civil engineering projects. Our objective at Interstate Rebar, Inc. is to provide a customer service record that we are proud of and we are very committed to customer satisfaction. Interstate Rebar, Inc., was founded and incorporated in 1995. We pride ourselves on customer service and look forward to ensuring your project is handled in a professional and timely manner. © 2019 Interstate Rebar. All Rights Reserved.